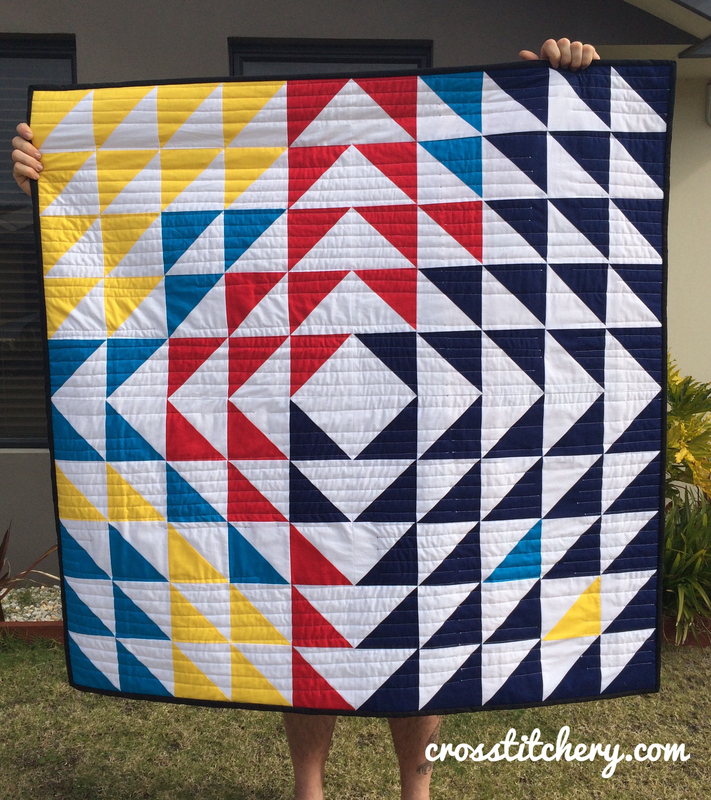 I’m a little late to post this, as my client collected this quilt last weekend – work has been so busy, and it’s Mr A’s birthday this week so it’s been alllll a-go at our place. Anywho, here it is! All finished, wrapped and given to my client (who loved it!). 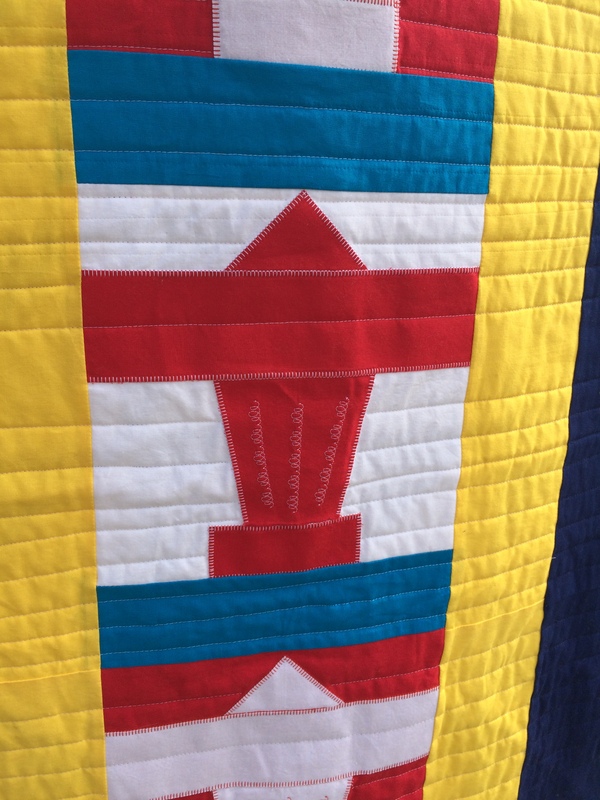 1 thing I found with this quilt is it was SO hard to quilt! I didn’t want to go through Jett’s name on the back, but I really wanted to follow the pattern on the front. In the end I settled on straight line quilting this, as there was no way for me to not quilt through Jett’s name. I’d love to know what you think of my latest commission! 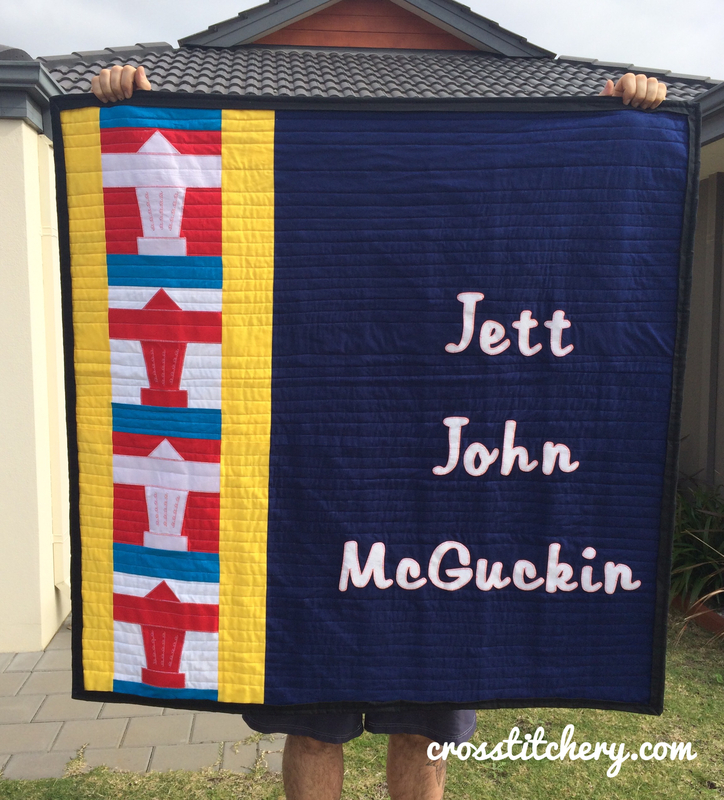 That is an awesome quilt!! It’s beautiful,your quilt!! But beautiful indeed!! Kudos! Beautiful quilt, front and back. Great job!